Beck Hansen, otherwise known simply as Beck, released his 13th studio album titled Colors on October 13. He released his first studio album Mellow Gold in 1994, gaining his popularity through this lo-fi alternative album. Since then, Beck is most notoriously known for changing his sound in nearly every album, starting with 90’s experimental music, moving to folk, soul, rock, alternative and introducing his most pop album yet with hints of 80’s throwback in Colors. I would argue that Beck stands out to the music world for many reasons, but most notably, he stands out because of his knack for innovation. In the Rolling Stone article “The Old Pollution: At the Beck Exhibit,” Steve Mirkin writes about Beck’s background, explaining a massive contributing factor to the success and nature of Beck’s music. According to Mirkin, Beck’s grandfather, Al Hansen, was a prominent figure in the avant-garde scene in the 1940s and 50s where the definition of art and music were being stretched and experimented with. 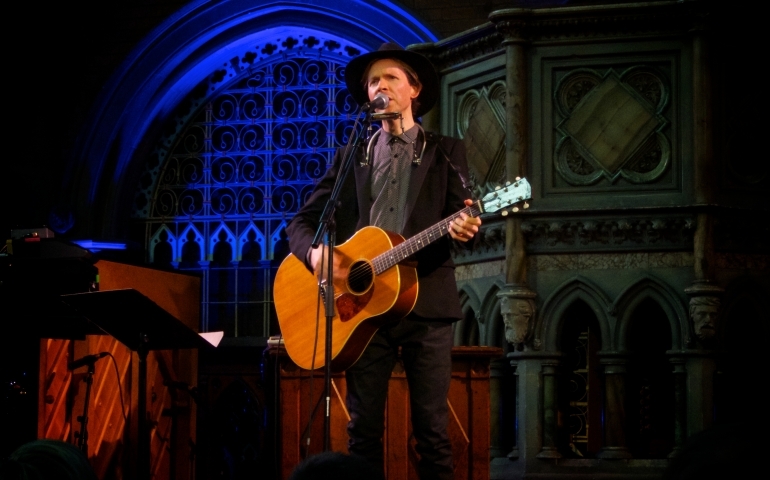 This movement being the backdrop of Beck’s early childhood with his grandfather is reflected in his music, as he takes unique and often unused musical styles and blends it with his own unique style, much like the avant-garde movement of the 40s and 50s. The innovative uniqueness of Beck’s music is undoubtedly a factor in his success, but through the change and uniqueness of all of his albums, an underlying melancholy lies. Although Colors definitely seems like the sun after the storm of melancholy from Morning Phase, even Colors has a darker side. This side can be heard in the song “Seventh Heaven,” warning his audience about the dangerous line between love and obsession. creates the commentary. As Beck is singing “I’m so free…” over and over again, the blend of music and vocals makes the line begin to sound as if he’s saying, “I’m so fake…” which is undoubtedly intentional. Through these unconventional slant rhymes, he critiques the facade of the music industry. Although Colors is a very different album than any he has done before, Beck has succeeded in creating a self and societal-critiquing album through this upbeat and fun pop album. Beck has achieved much in his career, but my largest praise in his career would be his ability to remain relevant while also remaining genuine. In a society that seems to scream “I’m so fake,” we need musicians like Beck to remind us of our authenticity.